I loved this sweet story with a "You've Got Mail" theme. The characters are well-fleshed out and the story and plot has a full arc. It didn't feel too short like novellas often do and when I finished the last page I just had to sigh in satisfaction. The setting of Portugal played a huge part in making the story stand out. It was so fun to imagine the foreign location and accents and the vivid descriptions were subtle without taking over the narrative. 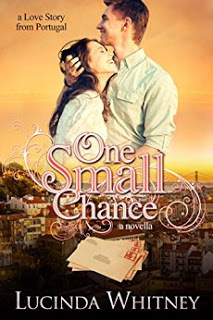 I was able to connect with both Isabel and Simon and felt the emotions they were experiencing as they grew closer together in spite of the struggles they face. Highly recommend!